Facebook tools are a part of the marketer’s standard toolkit in 2018. 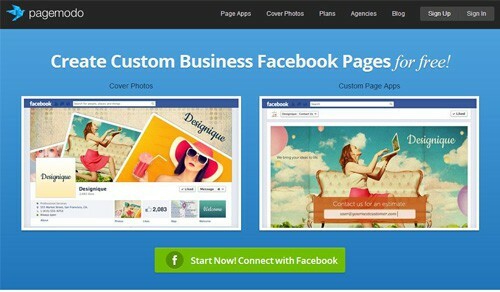 We selected some great Facebook app creation tools that can help you create custom Facebook pages. All of them have a limited free option that doesn’t expire, and they don’t require much tech skills to use. Here are the free Facebook tools available to get your basic Facebook landing page up and running. Facebook – run contests on your page, direct fans to caption a photo for a chance to win. Give them more chances to win if they enter again via the Facebook app. Collect data from your contest: photos, likes, and comments. Twitter – increase the virality with ShortStack’s sharing features to create Twitter contests. When followers link to your Campaign, use the entry form to collect leads to use for future marketing efforts. Instagram – use the link in your bio to connect to campaigns where you can collect leads, promote your eCommerce site, gain subscribers to your blog, collect entries for a giveaway, feature videos and much more. Create Facebook campaigns optimized for every device. Save time with pre-made free Facebook templates. Drag and drop editor gives you creative control. Drive engagement with sweepstakes, photo contests, group deals, and other Facebook page apps. 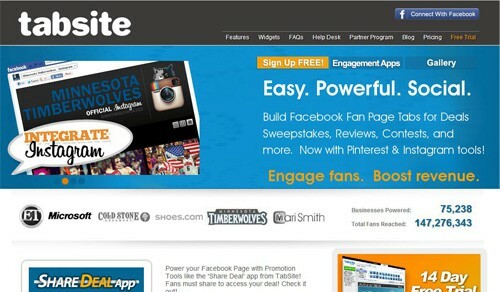 TabSite allows you to create and manage custom Facebook pages, apps and run promotions. You can add multiple custom Facebook apps and offer deals and Facebook contests. TabSite apps are easy to setup for pixel perfect design without coding or programming. Facebook tools include the ability to run sweepstakes, import blog posts, add YouTube videos, add product slideshows, run photo, and video contests. 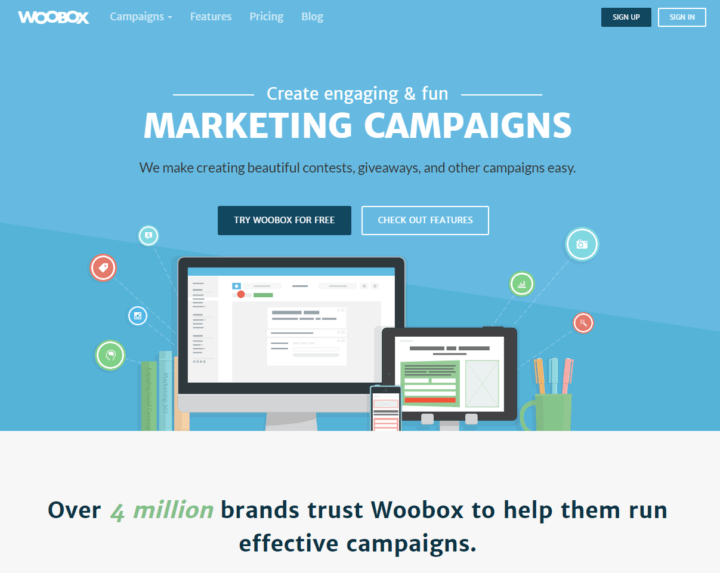 Free version includes one content tab, two custom named sub-pages. Manage the custom Facebook pages with an easy to use content manager. Includes email form integration with (Constant Contact, MailChimp, Delivra). Run free contests on your Facebook timeline. Reward fans and increase engagement by running sweepstakes, quizzes, and photo contests on your Facebook page. Randomly pick winners from the fans who liked or commented on a post. Ask questions then pick your winners amongst the comments with correct answers. Let your fans comment photos and select winners from the comments with the most likes. Click free tools in the main menu: These apps are 100% free, and always will be. You can run any contest, as many times as you want, on any number of pages. Free option includes six different apps, with no limits on fans or brand pages. HTML Fangate, custom Facebook tabs for Twitter, Instagram, Pinterest, and YouTube. Pick A Winner tool. Fans and brand pages unlimited. Paid plans include the use of all 19 apps, from Sweepstakes to Deals to Photo Contests. Easy Tab Creator has a simple interface, and a allows you to manage 3 pages for free, most other sites allow only one. Also, it has a 30-day money back guarantee. 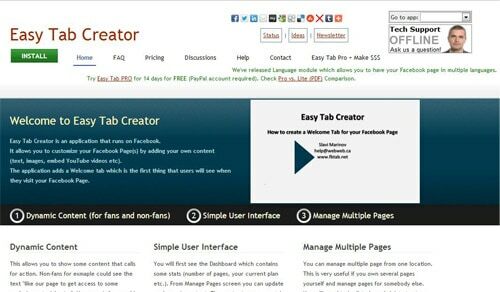 Easy Tab Creator is an application that runs on Facebook. It allows you to customize your Facebook Page by adding your content (text, images, embed YouTube videos, etc.). The application adds a Welcome tab. Pagemodo lets you build your custom Facebook page as a welcome tab by uploading your own content. A free account enables you to try out the features that come with Premium packages. You can manage one Facebook fan page, create one custom tab for it, use Cover Photo designer, find great content with posts suggestion tool, and schedule one Facebook and one Twitter update per day. 46 Free Social Media Monitoring Tools to Improve Your Results 2017. I have collected 46 free social media monitoring tools for you to try out and get a taste of what is available before you need paid services. 22 Inspiring Examples of Facebook Page Designs. Collection of pages to give you inspiration. Facebook Cheat Sheet:Sizes and Dimensions. A complete view of Facebook’s sizes and dimensions. Good info, but I have to say it…not one of them, except Timeline, is free. They do have free trials, indeed,….but none of them is actually free. However, as I said, good info and thanks for the article. As you probably know some months ago FB disabled option to edit link previews. So we came up with this free workaround to personalize title, description and picture of any page you wish to share on Facebook. Just go to http://customizefb.com , paste a link you want to share and there you can type in any title, description and image. Then you get a new link which you share on Facebook and this one will contain your customized title etc. This is awesome content! 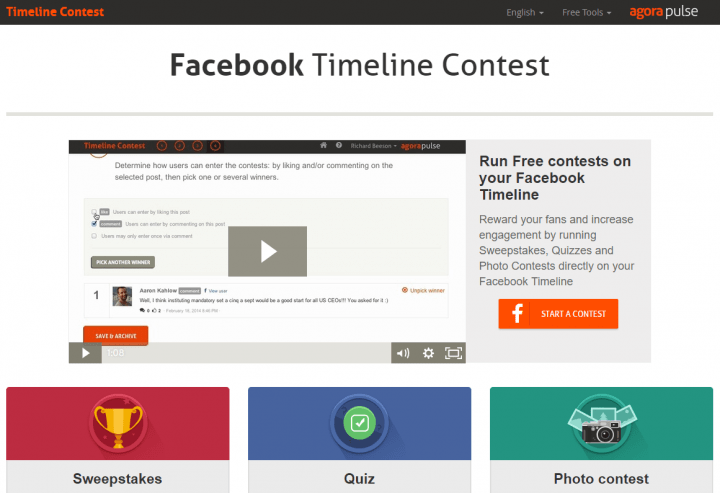 And especially one app i have just learn about- Facebook timeline contest. I can’t wait to try it out and see what it does 🙂 Thanks for sharing !!! Hi! Brilliant article, thanks much. You might however want to note that Wix does not support WixYourPage anymore. This is very helpful. just stumbled upon this. Do you know FB timeline app providers that feature the ability to have more of a discussion/forum space where ideas can be shared, insert comments and replies. We were thinking about creating a timeline app that would serve as a forum environment (moderated by us). We’ve looked into a number of different options, but we’d need a product with the ability to create a series of 5-6 discussion threads, each with the same functionality as the way comments work on posts. In other words, we’d need the ability for users to enter a discussion forum, we’re calling “Challenge Collaboration Space” and add links, insert comments, reply to comments, @tag other users, attach photos, embed videos (like from YouTube), etc. Do you have any thoughts? THanks! I’m using Pagemodo tool for create Facebook page design. It’s very easy to use compare to other tools. Thanks for the sharing. Thank you…just trying it out now….always great stuff to be learning learning learning. Wow awesome tools. I am using wix tool for website creation. its really great tool. Thanks for update more tools. I’m glad you found something interestin! Thank for this valuable information. It saved me a lot of time and effort. Excellent list – I had no idea this type of thing existed. I don’t spend much time on Facebook (I find it very annoying and an opportunity for ridiculous narcisissm) but if I was going to make a tool I suppose it would be one to remind people not to do annoying stuff on the thing. Such as humble bragging, or posting thousands of pictures of your kid doing inane stuff. I’d call it the, “Behave!” tool. Awesome list! These are the best tools you have shared for Facebook page design. Before I was using only Pagemodo to design my page, and I don’t have any ideas about other you shared. I think all are fantastic. I am using Involver and Pagemodo to design my facebook business page. I will must be try all these tools in future. Hope you will continue your great work by sharing this type of great info. Great list of app builders. 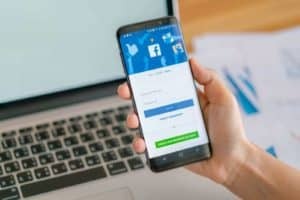 Another service you may put on this list is iFrapp, a easy-to-use and affordable app builder tool for Facebook Fan Pages. iFrapp was recently listed as “The 30 Best Facebook Apps” by PCMag.com earlier this year. Check out iFrapp.com. Thanks for sharing such great information. There are too many to choose …. I am using Pagemodo for my facebook page creation. I think it is very easy to use and also free and also lots of awesome themes available. 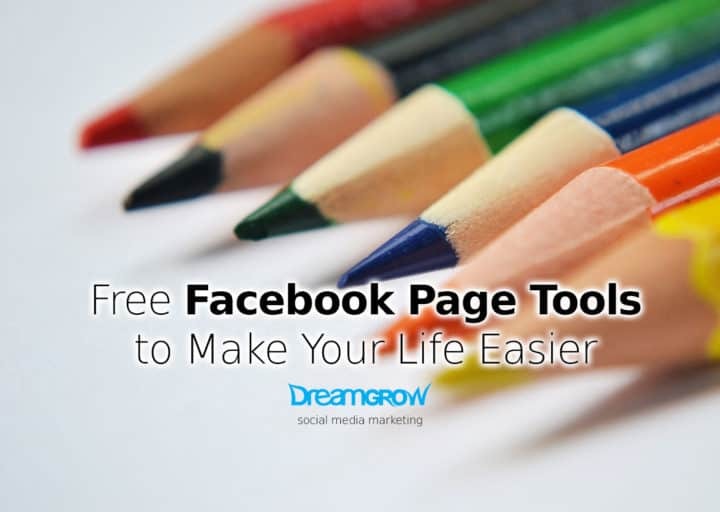 Great list of free Facebook page creation tools for small businesses and start-up Internet marketing agencies. I have only used Wix and for website only. I am looking forward to testing out a few of the other free tools list to have in our toolkit and be able to recommend to DIY SMBs. My only caution to clients is that learning these tools takes time as does using them to produce and maintain pages/apps/etc. It often comes down to DIY vs. hiring an agency in the context of time vs money. If you have more time than money, the DIY is preferred/required. If the opportunity cost is high and funding/cash flow is not the issue, then an agency model might be a worth considering. Thanks for sharing. For those who want to engage your Facebook fans easily, check out this simple tool called Tint (http://tintup.com) . It lets you aggregate any social feed (even social feeds you don’t own) and lets you embed it into your Facebook page, giving your fans dynamic content to engage with. Thanks for sharing these valuable Facebook tools. These tools will definitely help me to manage my Facebook fan page.